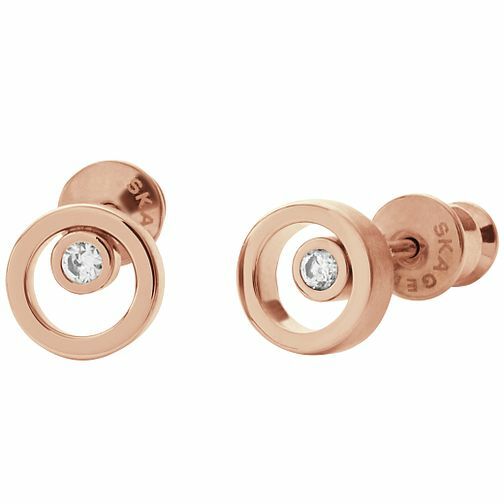 These unique stud earrings from the by Skagen are crafted from sleek rose gold tone in a circular setting with a sparkling stone set in each. Beautifully contemporary, perfect for everyday. Skagen Rose Gold Tone Stud Earrings is rated 5.0 out of 5 by 1. Rated 5 out of 5 by Anonymous from Looks fantastic! I recently bought a Skagen watch. Something a bit different. The jewellery makes a similar statement without being "in yer face". These earrings look fab on & wifey extremely happy (no mean feat! ).